Whether you are using the newest composite materials of good 'ol PT lumber our attention to detail remains the same! This customer's old PT deck needed to be replaced as it was certainly showing it's age. New framing was called for as well & we installed additional lateral bracing for extra support. 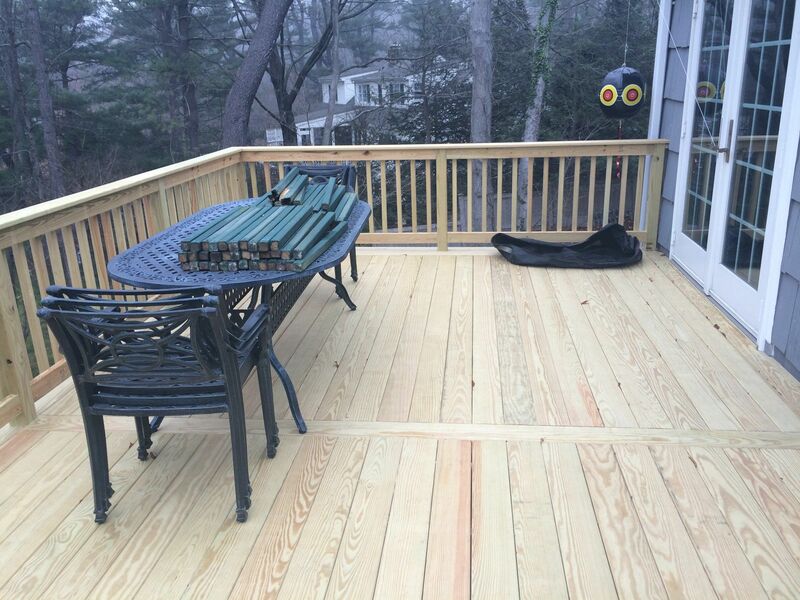 CT Deck Pros uses only KDAT decking boards in our PT installations. Picture frame borders & feature strips are standard PT practices for us which definitely separates us from the rest!